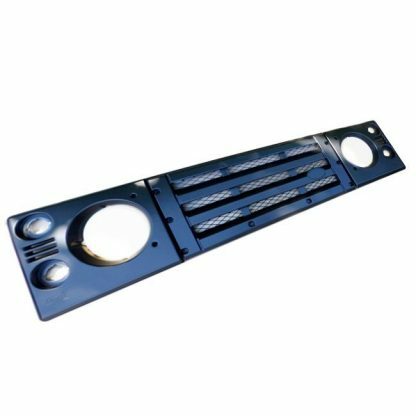 The KBX Land Rover Defender Front Grille & Lamp Surround Upgrade Kit is easy to fit using existing fittings – no drilling or special tools required, just a straight forward swap for the existing components. 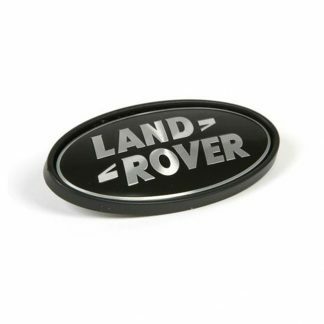 Made from tough injection moulded ABS for a quality finish. Designed on the latest 3D CAD system, allowing for improved air flow qualities, greater strength, fit & style. Side and indicator lamps are semi recessed for added detail. 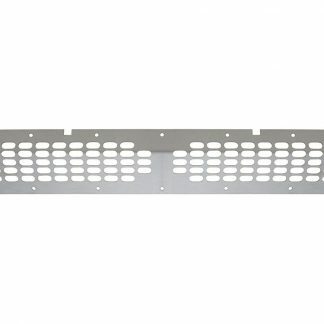 Grille panel is recessed to fit a Land Rover badge – Supplied separately. 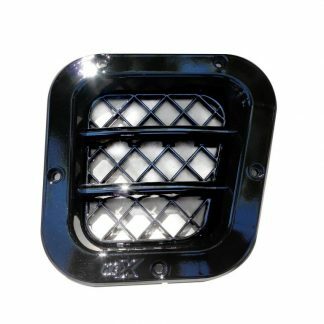 The KBX logo is embossed in Grille and Lamp Surrounds. 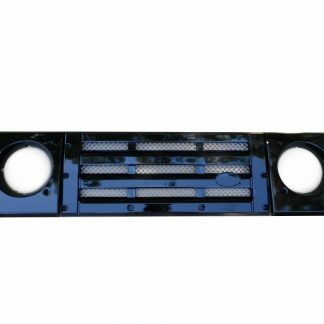 Standard Models come with a black powder coated diamond pattern aluminium wire backing mesh for the grille panel.